I have been in the dental field for over 35 years, and have worked my way up from being a dental assistant. When my youngest child started kindergarten it provided me with the opportunity to attend Dental Hygiene school. In 1993 I graduated from Milwaukee Area Technical College. 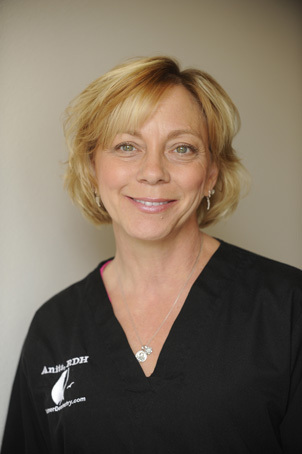 For just over 20 years I have been a Dental Hygienist, working in general and periodontal offices. I have received certificates to administer local anesthetic and also to use a laser. My biggest source of pride is that of the relationships I form with my patients. My job is to offer pertinent information and advice as a part of our thorough and professional dental service. Trust is key.